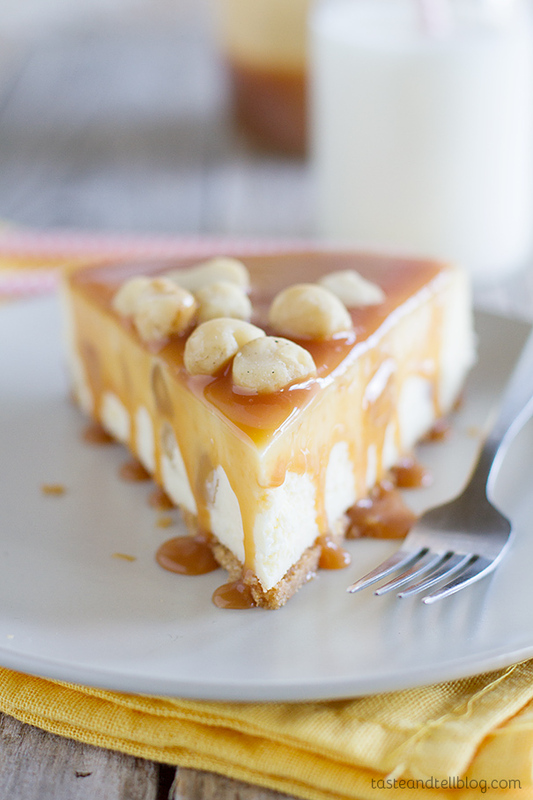 Creamy white chocolate cheesecake has macadamia nuts throughout, with a homemade caramel sauce poured over the top. Let’s talk cheesecake. It is my favorite subject, after all. I love making cheesecake, as well. 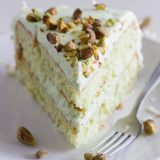 Some of my favorite recipes here on Taste and Tell are cheesecake recipes. So when Roxana from Roxana’s Home Baking sent out the call for food bloggers to unite in their love of cheesecake, I just knew that I had to answer that call. The pressure was on. 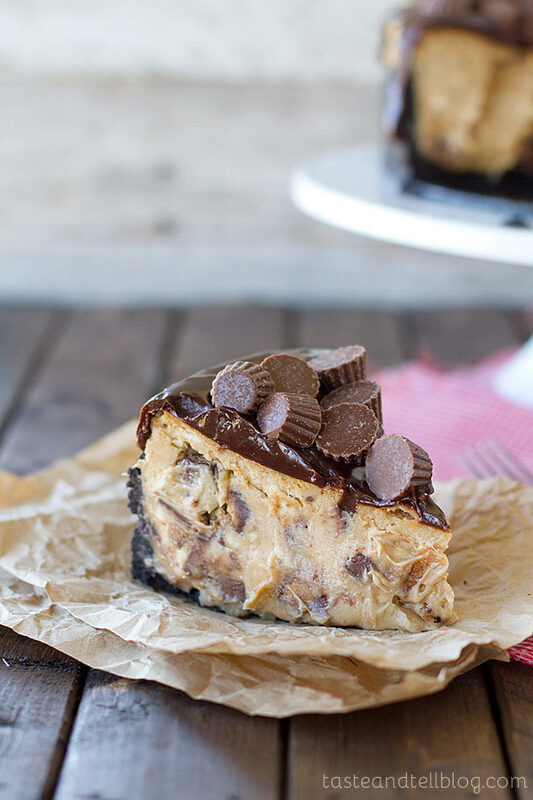 I had to create something that could stand up to my Reese’s Peanut Butter Cheesecake. Or my Lemon Cheesecake. And if you’ve tried either of those recipes, you’ll know that the competition is stiff. But this white chocolate cheesecake here today? I totally think it lived up to the competition. When I sat down to brainstorm cheesecake flavor ideas, this was the one that stood out to me. I adore macadamia nuts, and I knew that I would love anything that is covered in caramel. What I ended up with totally blew my expectations out of the water. The cheesecake had the perfect texture, and was dense enough to hold the macadamia nuts up so that they didn’t all sink to the bottom, but it was still super creamy and rich. The caramel sauce is slightly salty, which complements the saltiness of the nuts as well. A few hints for when you make this white chocolate cheesecake. And this goes for pretty much every cheesecake. 1 – The foil wrapped springform pan. I always wrap my pan in foil. Actually, I usually triple wrap it. This is not a cheap cheesecake, and it would be a shame to have water leak into your pan and ruin the whole thing. Wrap it, and wrap it tight. 2 – Thoroughly scrape the bowl of your mixer. I always seem to have a bunch of cream cheese at the very bottom of my mixer bowl that doesn’t like to mix in, so I have to make sure it is all incorporated. 3 – The water bath. I like to use a water bath when I make cheesecake for a few reasons. First, it helps to keep your cheesecake from cracking. I rarely have a cheesecake crack, and I credit it to the water bath and leaving the cheesecake in the oven to gradually cool down. The water bath also helps the cheesecake to cook evenly. 4 – Cooling the cheesecake. Like I mentioned before, I leave the cheesecake in the oven to cool. Once it is set on the edges with just a little bit of jiggle in the center, I turn off the oven and then prop the door open with a kitchen towel or pot holder. Then I leave the cheesecake there until it is almost to room temperature, then cover and refrigerate until completely chilled. 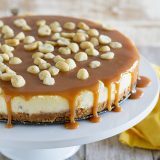 This White Chocolate Cheesecake with Macadamia Nuts and Caramel is a cheesecake that is sure to please! In a bowl, mix together the graham cracker crumbs and sugar. Add the butter and stir until all of the crumbs are moistened. Press into the bottom of a 9-inch springform pan and about half an inch up the sides. 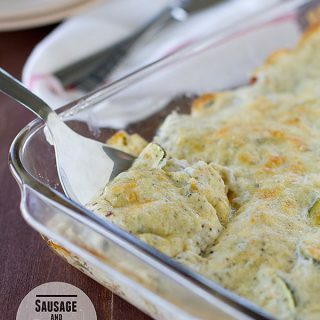 Bake in the oven until lightly browned, 10-12 minutes. Remove and let cool. In a double boiler, or in a bowl placed over a pot of simmering water, combine the white chocolate and half and half. Cook, stirring frequently, until the chocolate is completely melted and smooth. Set aside. Take the springform pan with the crust and wrap it tightly in foil, completely covering the bottom and the sides. I usually triple wrap mine. You don’t want any water to be able to leak into the pan. In the bowl of a stand mixer, beat the cream cheese until it is smooth. Add the sugar and mix to combine. Add in the eggs, one at a time, mixing and scraping the bowl in between additions. Add in the chocolate mixture and the vanilla mixture and mix just until combined. (Make sure you scrape the bottom of the mixer with a spatula to make sure all of the ingredients are combined. I always find some of the cream cheese sticks in the bottom of my mixer bowl.) Stir in the 1 cup of macadamia nuts. Pour the mixture into the crust. Place the pan in a larger pan or roasting pan and place it in the oven. Fill the outside pan with about 1 inch of hot or boiling water. Bake the cheesecake until the outside is mostly set and the middle just barely jiggles when you shake the pan, about 1 hour. Turn off the heat and prop the oven door open with a pot holder or kitchen towel. Let the cheesecake cool completely in the oven, then remove, cover and refrigerate until chilled thoroughly. To make the caramel, pour the water into a heavy saucepan. Pour the sugar in the middle of the pan, making sure not to coat the sides of the pan with the sugar. Turn on the heat to medium-low and cook, not stirring, until the mixture turns an amber color. Turn off the heat and add the cream. It will spit and sputter, so you will want to stand back. The mixture may seize, but take a whisk and stir vigorously until it is smooth. Start adding in the butter, 1-2 cubes at a time, letting the butter melt about halfway before adding more butter. Once all the butter has been incorporated, stir in the salt. Transfer the caramel to a glass jar and refrigerate until it thickens and cools completely. Store the cheesecake covered in the refrigerator. Cheesecake is exactly what I would have for my last meal..and this? It reminds me of the Cheesecake Factory version…which is my fav of all cheesecakes! Pinned! 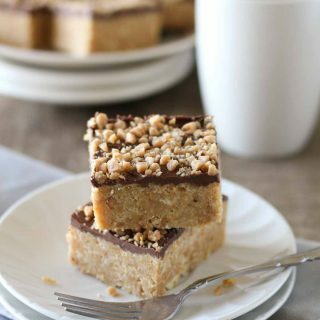 Macadamia and caramel together is a match made in heaven! This is show-stopping cheesecake! 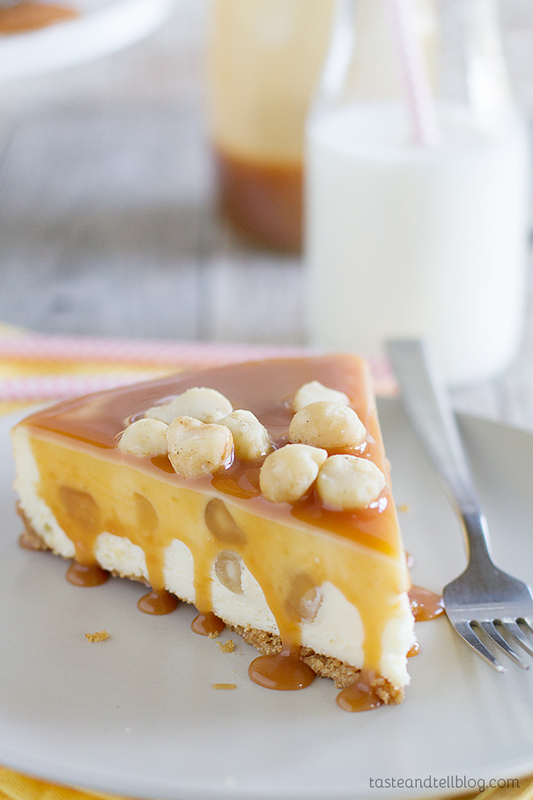 The creamy cheesecake, the macadamia nuts both inside the cheesecake and as topping and that caramel drizzle! I’m in heaven!!! Looks like the ultimate cheesecake, Deborah! Deborah, you are the queen of beautiful cheesecakes! I have to try this one. Love white chocolate + caramel! 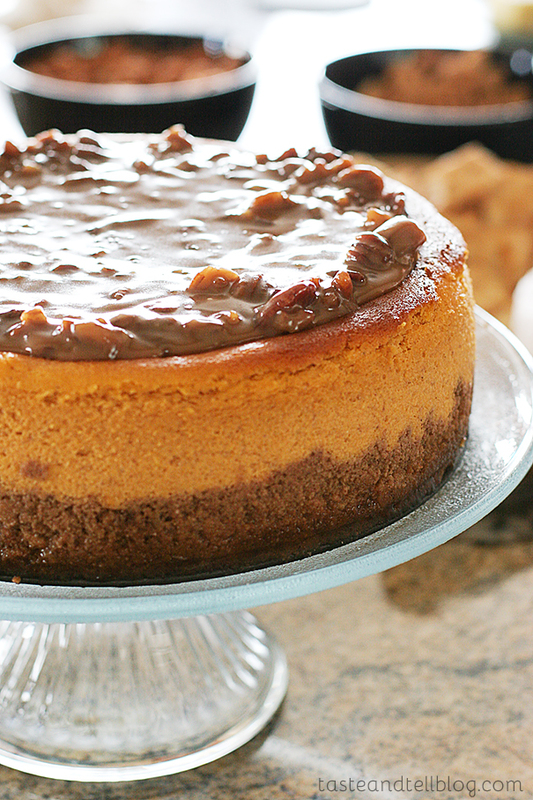 I’ll talk cheesecake anytime with you- one of my favorites too! Gorgeous! that caramel sauce is calling my name! completely drooling over that caramel topping! 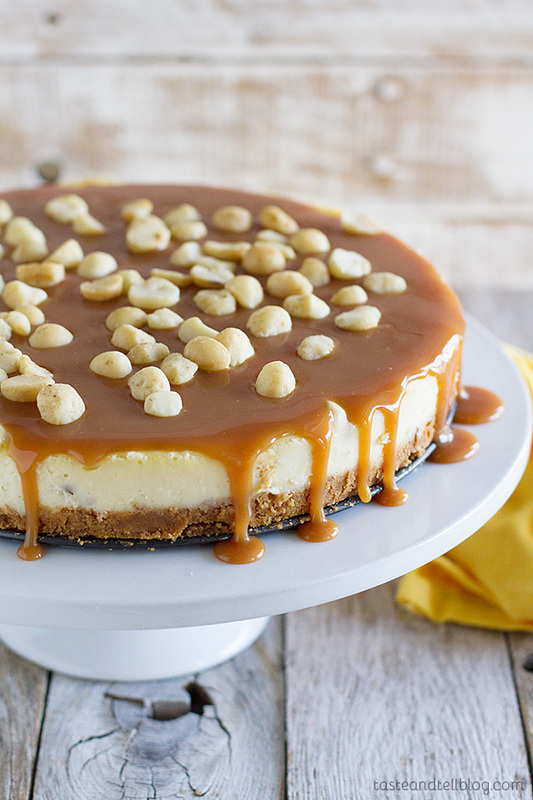 I love the texture contrast with the creamy cheesecake and crunchy macadamia nuts! What a unique flavor combination! I love everthing about this cheesecake! My last meal would require a cheesecake for dessert as well! Okay, for the record, let me just say that your photos (for as long as I’ve been reading your blog) have always been really beautiful. I don’t know what you are doing differently lately, but it’s like you’ve stepped up your game! Great job and this cheesecake, duh-looks to die for! It absolutely lived up to the competition – this one is hard to beat! The flavors are incredible together. I love that shot of the caramel pouring – gorgeous! Pinning! Happy Cheesecake Day! Yessss please!!!! White chocolate and caramel is one of my very favorite flavor combinations! 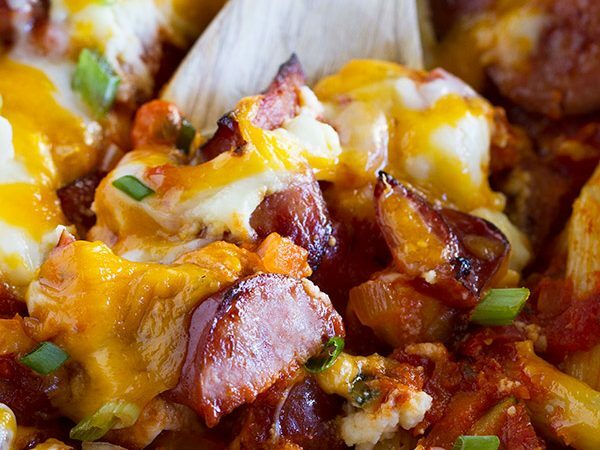 My mouth is drooling. 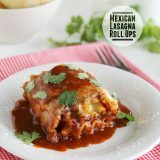 I am dying to try this! 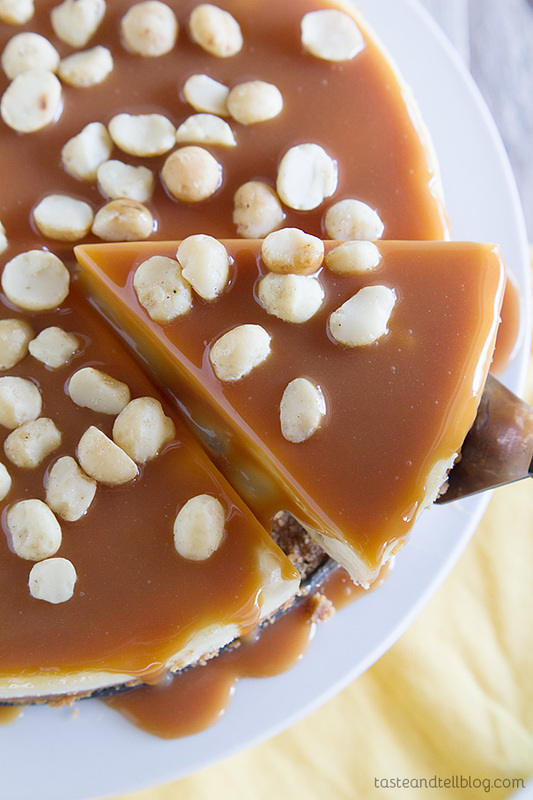 i could so devour a slice right now.. that caramel looks incredible! 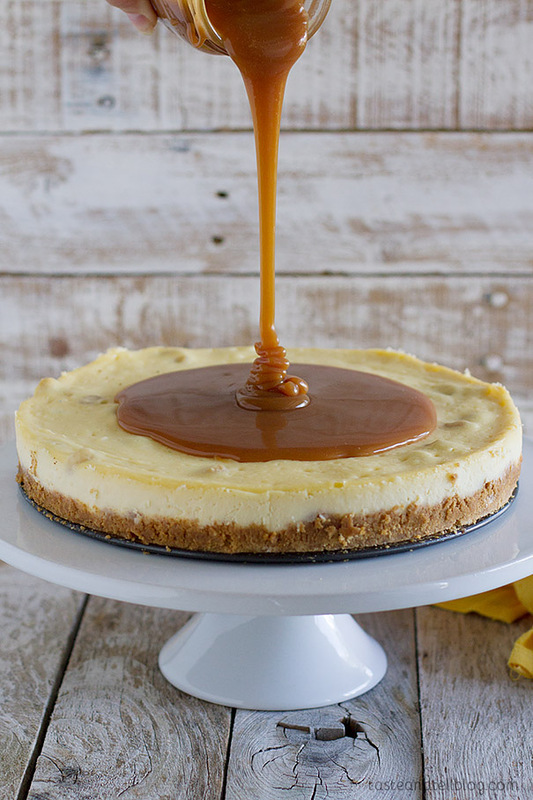 Oh wow that caramel sauce oozing down the sides of this cheesecake is making me extremely hungry! This is definitely a last meal worthy kind of cheesecake!! And given that white chocolate mac nut cookies are my favorites…this would easily take first place in the favorite cheesecake race. This cheesecake is SO gorgeous! And you must be a foodie since your last meal changes so much 🙂 Pinned! That is a killer of a cheesecake, so drool worthy. I just love everything about it!!! I am SO in love with this cheesecake!! Oh. My. Gosh. It’s gorgeous! Hah! What an awesome icebreaker–asking folks about their last meal! I’m with you on the desserts score, and I can certainly imagine asking for a cheesecake like this. I absolutely love macadamia and white chocolate, not to mention that caramel! Drooling over this cheesecake right now! Your photos look absolutely beautiful. Love the combination of white chocolate + caramel! I need a slice of this right now! That caramel sauce oozing all over the place has me trying to reach through the screen and lick it off. heaven help me, pass a SPOON! That caramel is out of this world! 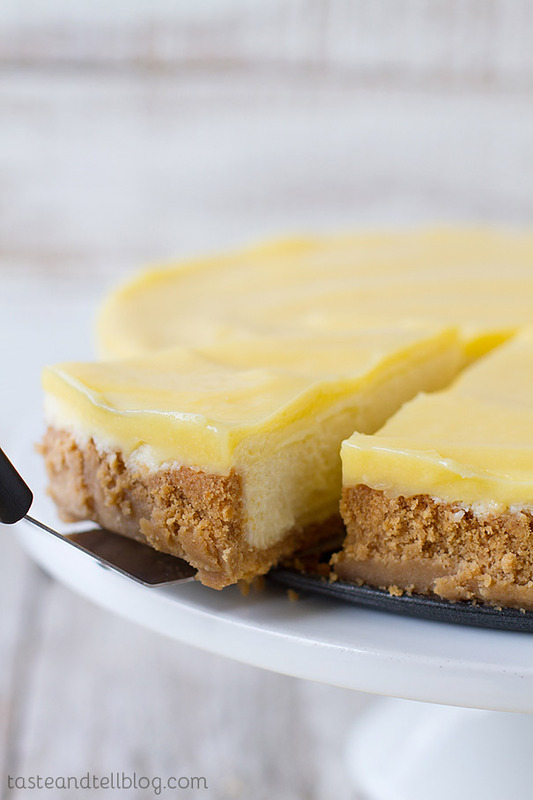 Oh heavens this cheesecake is AH-MAZING! About how long does this take to cook in the oven? Oh my goodness – I can’t believe I forgot that in the instructions! It will bake for about an hour – I have updated the recipe. Thanks! So glad that he loved it!! Happy belated birthday to your husband! Would you use salted or unsalted macadamia nuts? This looks awesome. I used unsalted that you can find on the baking aisle. I made this last night, following the recipe exactly as written except for the nuts (not a fan of nuts in my baked desserts…I know, I know!) and I’m sad to say that it didn’t turn out well. I did tightly wrap the springform pan in 3 layers of foil as you suggested, but the water still seeped in, and my crust was a soggy mess, and the cheesecake has a very mealy consistency. I can only guess that it’s the water. I attempted a second one without the water bath, which I just pulled out of the oven. It did crack, but so far it looks like it set up much more nicely than the first one. My other problem is with the caramel sauce. I tried my hand at it this morning, but my sugar/water mixture never turned the amber color, and eventually, all of the water evaporated out and I was only left with giant sugar crystals. What did I do wrong? It bubbled nicely, but I wonder if maybe my heat wasn’t high enough? Any suggestions?! Really want to make the caramel sauce! Ugh – I’m so sorry the first one leaked! I have had that happen, and it’s not fun. I have had people tell me that you can put a pan of water on a different tray in the oven and have similar results as a water bath, but I haven’t tried it. It may be worth a try for you, though, if you have issues with leaking. For the caramel, I don’t think your heat was too low, as it needs to be more on the low side. If that happens again, continue to let it cook and the sugar should start to melt. It will almost immediately turn an amber color, so you’d need pick up the pan and swirl it to incorporate all of the caramel without it burning. Also, you’ll want to make sure that there is no sugar on the edges of your pan, and that your pan is completely clean, as this can cause the caramel to crystalize. You can run a wet pastry brush around the edges of the pan to wash down any sugar crystals. this might be a silly question, but can you go into more detail about how to wrap the pan in foil? Insid the pan or around the outside? 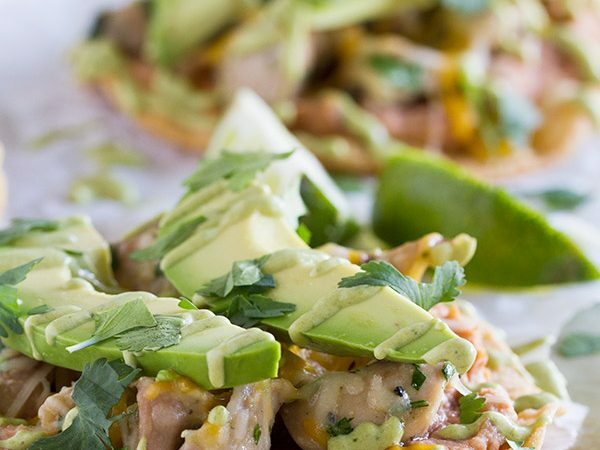 Do you use cooking spray? Hi Lily – you wrap the outside of the pan. I just take the foil and make sure it completely covers the outside and up the sides of the pan. Half and half is typically a mixture of half milk and half heavy cream. 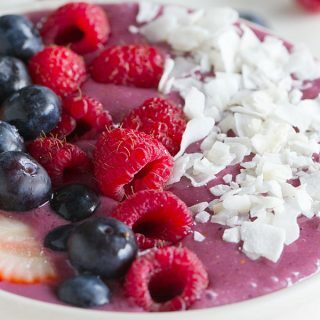 You could make your own by just using 1/4 cup milk and 1/4 cup heavy cream. Sounds like a fabulous recipe but how do you complete the water bath? The cheesecake pan will just be sitting in the bigger pan of water. After the cheesecake is done, you will remove it and refrigerate the cheesecake, emptying and discarding the water from the bigger pan. 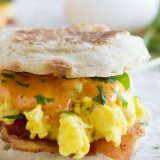 Thanks for this recipe, this will be the second time I make it. 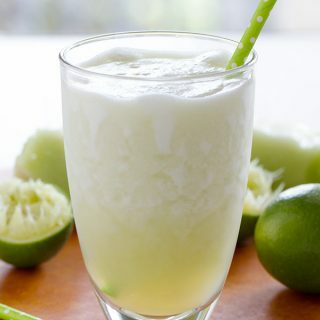 Ever since it failed on “the looking” the first time (taste was super, but the cool down part I was to fast, really could not wait) I was searching to competitors for this delicious one. Now, long time later, it is for me and “taste-victems” around me still the best tasting cheesecake I made.